What can archaeology tell us about the world of the Hebrew Bible and New Testament? Archaeology illuminates the history of ancient Israel, the point where three of the world’s major religions converge. Download Israel: An Archaeological Journey and start receiving Bible History Daily — both absolutely free! Israel. The very name means different things to different people. It is a geographic place: the ancient land of the Israelites as well as a modern Mediterranean nation. It is a people: practitioners of Judaism who see themselves as descended from Biblical Jacob. It is a hot-button political topic, a homeland, a vacation destination and, perhaps most significantly, it is the place where three of the world’s major religions converge, creating a palimpsest of history that is one of the richest and most complex in the world. 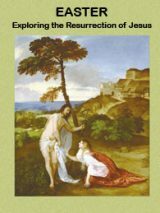 This free eBook examines key archaeological sites from Hebrew Bible and New Testament eras in Israel. Archaeological discoveries shed light on places of sorrow and joy, from Roman prisons to seaside entertainment districts. Explore the religion and history of ancient Israel from the Babylonian destruction through the New Testament era in this free eBook. In “The Fury of Babylon: Ashkelon and the Archaeology of Destruction,” Harvard professor Lawrence Stager guides readers through the excavations at Ashkelon, painting a portrait of the city whose vicious destruction by the Babylonian army was so vividly described by the prophet Jeremiah (Jeremiah 47:4–5). Stager sets the site against the backdrop of the larger political and historical context of Egypt and Babylon in the seventh century B.C., and offers a detailed picture of the city and the life of its inhabitants on the eve of its destruction, as gleaned from a meticulous examination of the archaeological record. In an unprecedented breakthrough, paleographer Ada Yardeni recently identified the handwriting of a single scribe on more than 50 Dead Sea Scrolls from the Qumran caves. Remarkably, Yardeni identified the same scribal hand in a manuscript of the Joshua Apocryphon discovered in the Masada desert fortress, 30 miles south of Qumran. In “Scribe Links Qumran and Masada,” Sidnie White Crawford explains what this identification can tell us about the scribal community at Qumran. How Jewish was Sepphoris in Jesus’ Time? Although Judea was already a Roman province when Jesus lived, there has long been debate about the cultural influences that may have shaped his life and teachings. In their article “How Jewish was Sepphoris in Jesus’ Time?” scholars Mark Chancey and Eric Meyers examine the Galilean city of Sepphoris as it was in the early first century A.D. Since the city is just 4 miles from Nazareth and has yielded more archaeological data than the nearby village, scholars have traditionally viewed Sepphoris as a cultural barometer of life where Jesus grew up. How Jewish was Sepphoris? Chancey and Meyers argue that, despite the influence of the omniscient Romans, a strong Jewish cultural identity existed in the community during Jesus’ formative years. Through a careful examination of the archaeological record at Sepphoris, Chancey and Meyers make a case for the Jewish culture that they maintain was the backdrop of Jesus’ life. The people of Judea strove to maintain their identity despite the presence of the occupying Romans. There is no stronger symbol of this struggle for Jewish identity and independence than Masada, the palace-fortress built by Herod the Great that was the site of the last, desperate stand of a group of Jewish Zealots against the Roman army during the First Jewish Revolt. The traditional interpretation of events at Masada is that this struggle ended in the dramatic suicide of the almost 1,000 Zealots in 73 A.D. Both archaeologists and historians have long studied the site and the existing primary source for more clues regarding the rebels’ last hours. In his article “Where Masada’s Defenders Fell,” sociologist Nachman Ben-Yehuda takes a close look at the traditional interpretations of the first-century accounts of Flavius Josephus. In a re-examination of the text, Ben-Yehuda offers a different theory regarding the final resting place of Masada’s defenders. The writings of Flavius Josephus are not just relied upon for interpreting events at Masada. Indeed, his works are frequently used as the launching point for many archaeological investigations in the history of ancient Israel. Archaeologist Ehud Netzer relies in part on Josephus to reconstruct Herod’s Antonia fortress. In “A New Reconstruction of Paul’s Prison: Herod’s Antonia Fortress,” Netzer puts forth his archaeological interpretation of the structure that guarded the Temple Mount and may have been where Paul was imprisoned by the Roman authorities. Through archaeology, we get a better understanding of the history of ancient Israel and the ancient cultures and events that have shaped modern society and religion. This free eBook provides a close look at life and religion at the heart of the Holy Land. 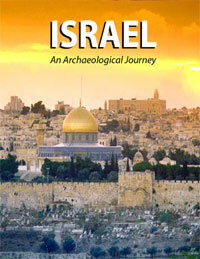 We are delighted to offer this journey into archaeology, Israel and the Biblical world for free. We’ll send you a link to download your copy of Israel: An Archaeological Journey and offer you a FREE registration to the Bible History Daily newsletter, bringing the world of the Bible and archaeology directly to your inbox. Your FREE registration to Bible History Daily introduces you to community discussions on fascinating topics like the Dead Sea Scrolls, top Biblical archaeology discoveries, ancient Israel and Easter. Bible is accurate in foretelling the devastation of nation of Israel because of their utter lack of faith and killing God’s son, Jesus which they deny he even existed. Jesus prophesied that their land would be abandoned to them which came true, but they are trying to make a nation of themselves by bloodshed. They have and are killing people who have been living there for over thousand year the Palestinians are being wiped out by them and this is their idea of peace in middle east to kill everyone, so no one can oppose them. Please do not mix any holiness with Apartheid Estate of Israel. It doesn’t PROVE that the Bible is factually accurate, but It does indicate that there was a factual basis. Like any writing of the time, it depends upon the context and the perspective. Two contemporary historians can interpret what they see in very different ways depending upon their points of view and their purpose. If you are a Democrate or a Republican, a Capitalist or a Marxist, the facts as recorded may be 180 degrees different. Of course, if you are a fundamentalist believer of any religion, be it Jew, Christian, Muslim your faith will not allow interpretation and it is not open to argument. The Bible came from God, hence it is accurate in every detail. 2 Tim. 3:16-17. Israel was GOD’S chosen Land & People for the whole world to know that GOD exist. Praise the lord for the excellent teaching that I’m receiving from this site. Thankyou all. Henry you are correct when you say Israel WAS God’s chosen people. The nation of Israel eventually rejected by God because of their failing to keep the Law. As Jesus said Matthew 21:43 that the Kingdom of God would be taken away from the Jews and in Matthew 23:28 Jesus told the Jews that their house was abandoned or lost to them. The reason why this occurred was recorded at Matthew 15:3, 4, 8, 9, 14. Basically it was because they had failed to keep God’s Law (as they had so many times before), so Jesus before his death became the mediator of a new covenant between God and the apostles and so was born the Christian congregation, after Jesus death. When Jesus said that their ‘house’ was abandoned or lost to them……it was the entire religious system that the Jews had built around the Mosaic Law that they lost and at Luke 21:5, 6 Jesus told them that their temple would be destroyed…….and it was in 70 CE. When we look at Acts 10:34, 35 and Acts 15:14 we see the start of the formation of the Christian congregation……God had chosen a new nation “spiritual Israel” who were no longer under that old Law. ‘Who are Israelites; to whom pertain the adoption, and the glory, and the covenants, and the giving of the law, and the service of God, and the promises’. (Rom 9:4). And apostle Paul did not use in his sentence past time. Hi! Thanks for the insights! It proves that the bible is an accurate historical book! Thank you for the updating and wish you well in your future research. 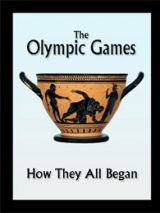 This site is great…you can learn a lot about ancient history…keep up the good work. Free book can be acquired. I would also want to buy some of this important books. Please help me to buy this important books. praise the Lord! :)..god bless ya all:)..
Having access to biblical archaeological study, thought, and research is such a blessing! If I could start life over, I would become a biblical archaeologist. It has bolstered my faith and given me the opportunity to share my faith in a scientific and historical context. I am looking forward to learning more. Thank you for the opportunity. I will not state it here but only on a private email address. What about us who have members about as long since Jesus Knocked Nails At Nazareth? How do we access all those goodies? I want to buy some of these books..how do I go about please? Those reading materials help us in Indonesia to learn our Bible much better. May our Lord Jesus bless you.